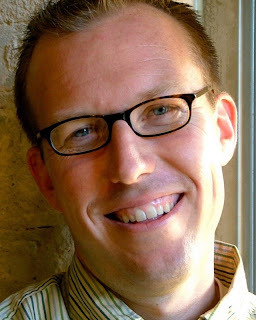 A Noggin' Full Of Noodles: Tony Jones On "Liberal Christianity"
Tony Jones, head of Emergent Village, and a key figure in the Postmodern Christian journey, has an interesting post over on his blog. A person who is constantly called liberal by people who oppose Emergent (as well as ANYTHING that is different from their own beliefs), calls liberal Christians "boring". I really like this article because, 1) Postmodern Christianity DOES NOT equal "liberal theology, 2) because liberal and conservative are NOT the only options (not black and while, either/or), and 3) because being liberal is not necessarily better than being conservative/fundamental; it's a reaction not progress. Anyway, check out his post HERE and leave your thoughts! ADDITION: I was looking back, and I think that this is a fantastic contrast (in a difinitive way for Emergent/Postmodern Christianity) with the video interview/discussion in my last post where Tony is being challenged as a "liberal" (using John Crisham's own word-choice here from his past blogs concerning Tony and the Emergent Movement).